​Tenerife, January, 9.00pm. 'Cover the moon,' says the guide, all hands are up. No questions, not even a whisper. Cocooned in woolly layers, I follow suite, like a big furry bear who for some unknown reason decided to go stargazing in near sub-zero temperatures. 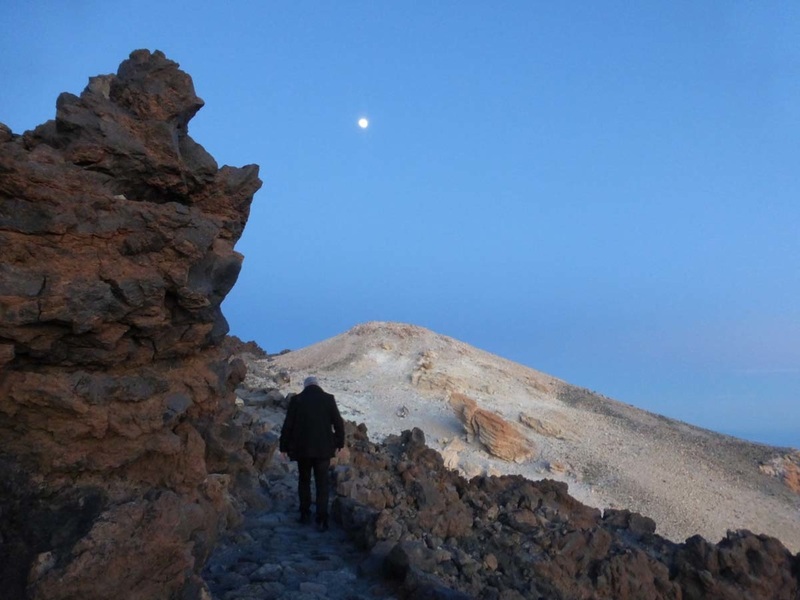 So in the shadow of the mighty Teide, I crane my neck to look at the sky. The bull has me in raptures. 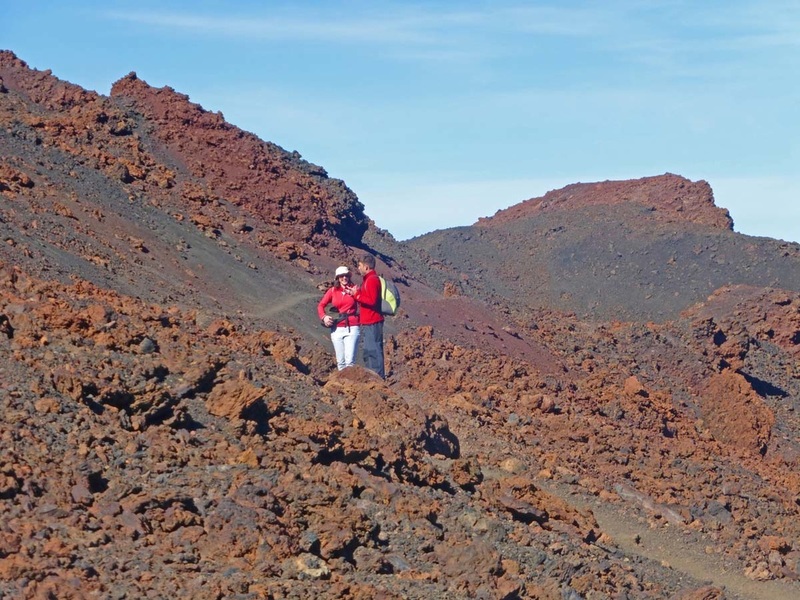 It's my sign so I greet him for luck, 'hi, Taurus, nice to meet you', just in case Teide decides to clear its throat and cough out a bellyful of fumes. 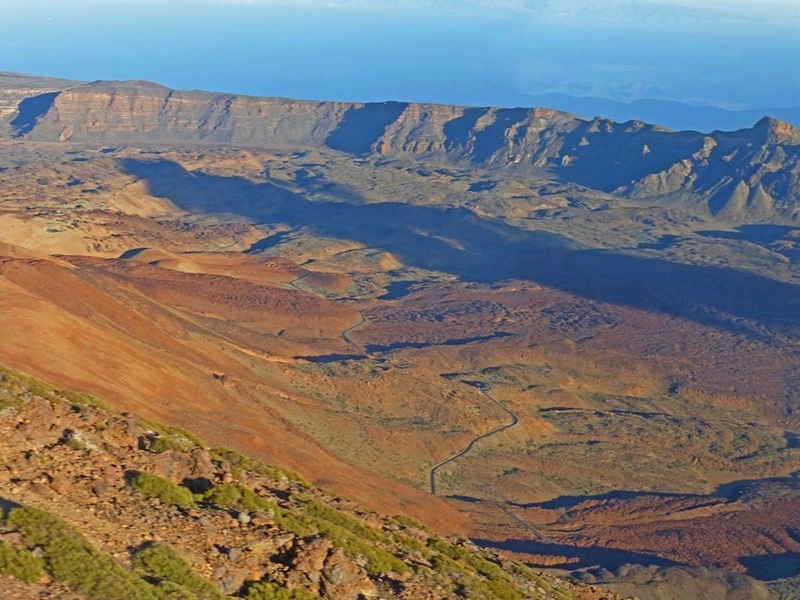 Stargazing is big business in Tenerife and it all started with Charles Piazzi Smyth, Royal Astronomer for Scotland, who came to the island to verify Newton's theory. He succeeded of course and scientists from all over the world still come to study the sky, by day and by night, for you can see the whole of the northern hemisphere and part of the south. For amateurs like us, stargazing is strictly organized, step out into the night and divide into groups; group one follow the white light, two the green and three the red. I'm in group three, the red light, with a handsome Canarian chap who points an incredibly long beam right up to the sky. After a while, so much excitement sends my head into a spin so I move over to the telescopes to take a close look at myriad constellations glistening like diamonds and the moon where you can spot the dark shadows of craters and mountains known as the 'Tenerife range'. Someone manages a half-decent image through the lens but as I walk away, a mysterious black spot hovers in front of my eye and I begin to wonder if it will ever go away. It does, eventually. 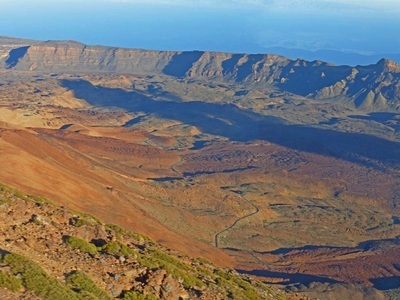 ​We'd lingered too long at the cable car station, enthused by a breath taking sunset when the ocean sparkled all ruby and gold and the nearby islands seemed to float in mid-air, La Gomera, La Palma, El Hierro, the smallest, which erupted underwater in 2011. The sea bubbled and boiled for days, sending earthquakes rippling across the land. ​The next morning, we're back in the National Park, up a long winding road enclosed by awesome lava walls and dark volcanic fields sprinkled with broom and Canarian pines. Up on the top, the old crater stretches for 17km across a moonscape of towering cliffs, dramatic rocks and volcanic grit, and in the middle of it all, the 'young' peaks, Teide rising to 3718 metres and Viejo, the second highest, 'trekking difficulty, extreme', reads the sign so I give it a miss. ​My choice is the 'gentle' Samara route, the path' between two mountains', and at 2000 metres or so, I'm jaunting along in the footsteps of Sierho the Sherpa. 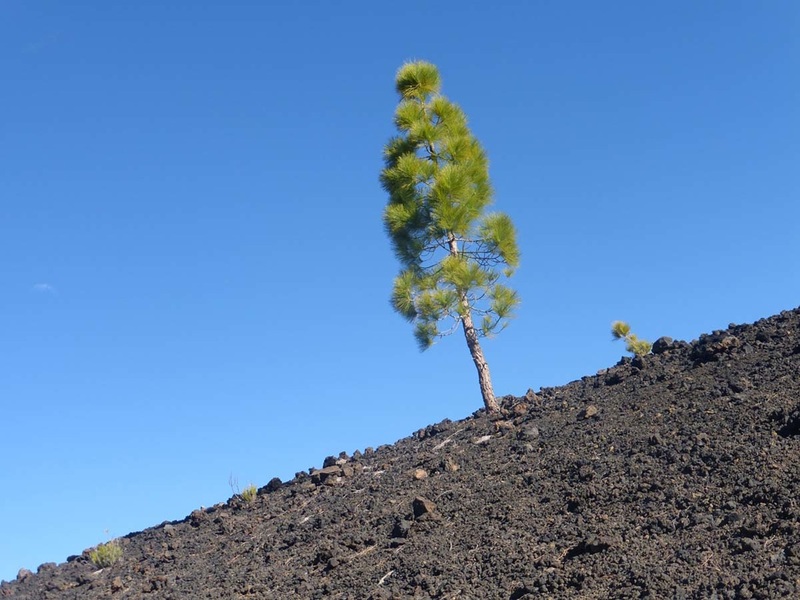 Even that is steeper than I thought but as we rise above the luminous pines, the view stretches from the ocean sprinkled with islands to the daunting desert all around , littered with volcanic bombs, strangely-shaped boulders and craters where eerie shadows sweep across the slopes. Here and there, a lonely pine sprouts out of nowhere, maybe from a single seed borne by the trade winds. Stark as it feels, the wilderness holds me spellbound with colours and textures, from the soft pumice stone to the jagged rocks and the hills below in every shade of gold, brown, russet and pink. All is silent but for the squish-squash of the walkers' boots on volcanic grit. 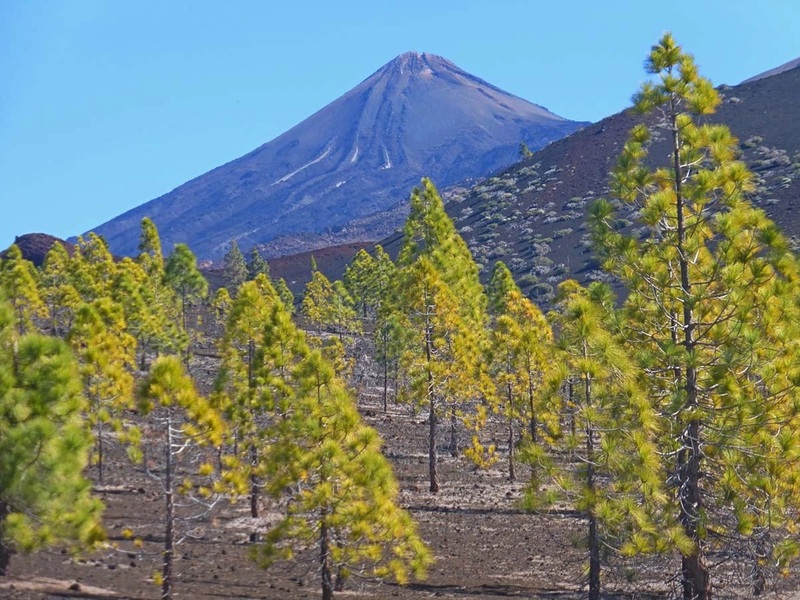 Teide rises above it all, the crater's edge scarred by sulphurous spills, the base so broad it seems to spread right across the island while plunging another 3000 metres to the ocean floor. ​Now I've got a date and I can't wait….